Eric Sanchez was quiet for 87 minutes Saturday. 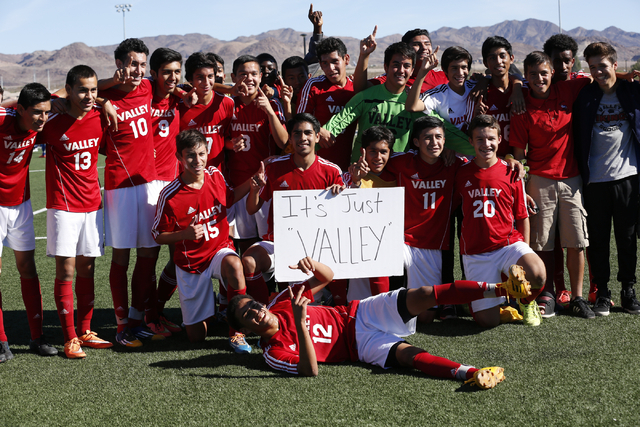 Fortunately for Valley’s boys soccer team, the squad’s leading scorer finally broke through. 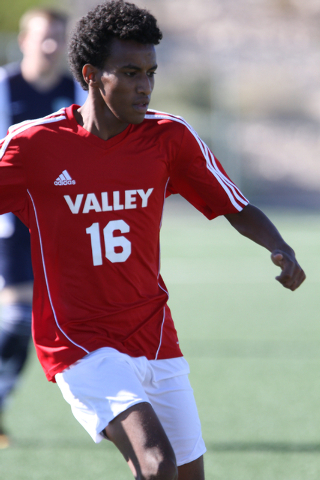 Sanchez, who had a penalty kick rattle off the crossbar in the first half, scored in the eighth minute of overtime to give the Vikings a 3-2 win over Foothill in the Sunrise Region championship game at Heritage Park. The win secured Valley (15-3) a spot in the Division I state tournament, which begins Friday at Heritage Park. Foothill (19-4) plays Sunset runner-up Cimarron-Memorial (15-4-2) at 4 p.m. Monday at Clark to determine the final state berth. 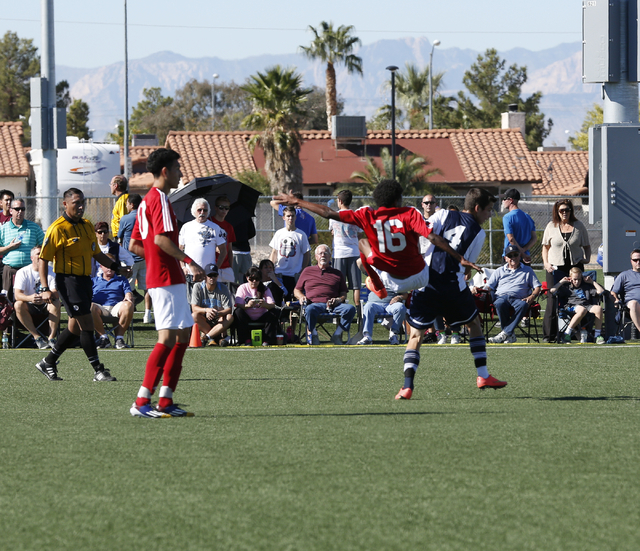 Sanchez made a beautiful run on a long free kick by Marco Gonzales, who served the ball perfectly. 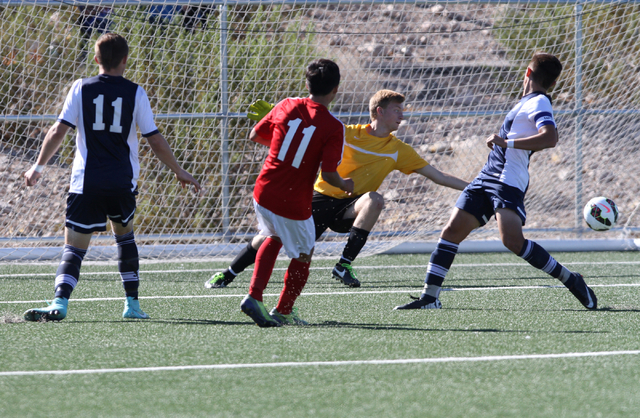 Sanchez redirected it with a header into the net to end the game. It was fitting that the duo combined for the winning score, as they have 50 goals and 17 assists this season. Valley controlled possession for much of the game and outshot Foothill 20-8, but the Falcons made the most of their opportunities to stay in the game. 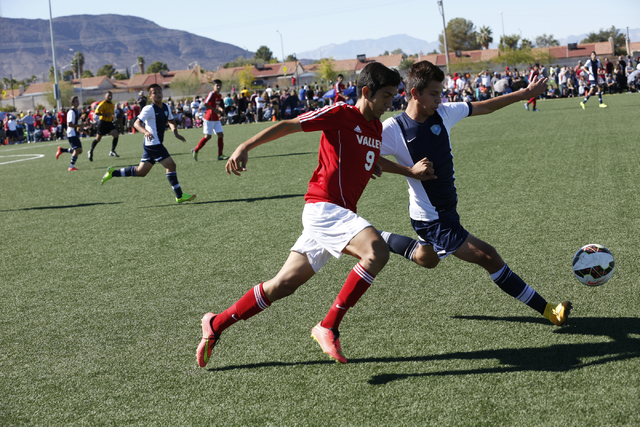 Late in the first half, John Cerda stole the ball for the Vikings and pushed it ahead to Gonzales on the left flank. Gonzales turned in and hit a right-footed shot to the far post for a 1-0 lead in the 37th minute. Foothill quickly answered when Jackson Dietrich passed ahead to Michael Carnahan, who turned back inside and hit a left-footed shot to the far post with about a minute left in the half. 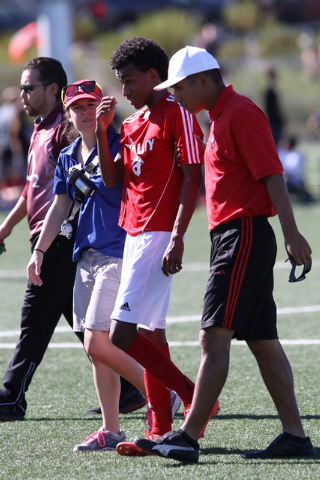 The Falcons went up 2-1 with a counterattack goal in the 64th minute. Mason Reid drove down the left sideline and crossed to the middle. 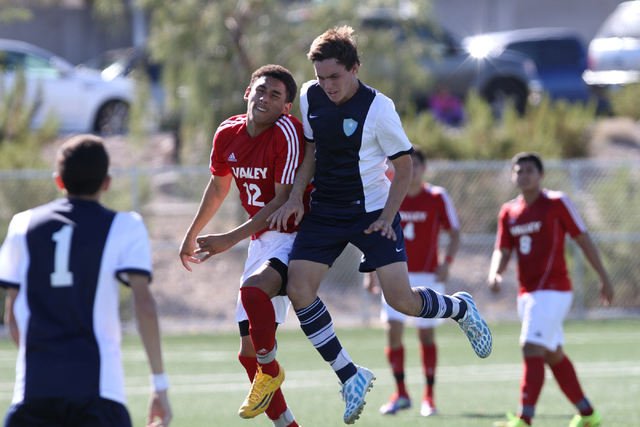 Dietrick redirected the ball to Robert Cowan, who knocked home the shot for Foothill’s only lead. The Vikings tied the game in the 73rd minute when Gonzales took a pass from Anthony Marquez and knocked home a left-footed shot. Nolan Sherwood scored the tying goal in the final minute of regulation and put home the winner three minutes into the second overtime to lift Palo Verde to a 2-1 victory over Cimarron-Memorial in the Sunset Region final. It was the second straight region title for the Panthers (15-5-2), who never had advanced past the second round of the playoffs until last season. 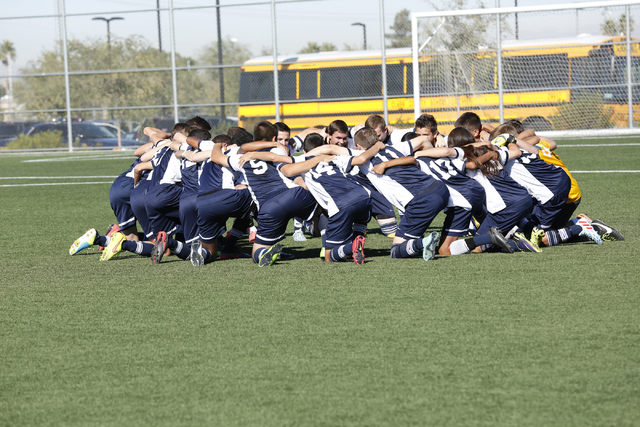 Palo Verde will meet an opponent to be determined in the Division I state tournament Friday at Heritage Park. “I think there’s a level of expectation that we believe we can do it now that we’ve done it once, even though it’s a different group by and large,” first-year Palo Verde coach Garry Shackley said. “We could never get over that hurdle before — bit of a mental barrier, I think — but we’ve got over that now, and we had the belief right through to the end. Both teams appeared worn down in the overtime until the Panthers broke through thanks in part to Austin Manthey. The senior midfielder created several chances in the second half and overtime with his long throw-ins, and his final heave fell right to Sherwood in the penalty area. Sherwood took one touch and fired a left-footed shot past Cimarron goalkeeper Richard Crews, setting off a huge celebration on the Panthers’ sideline. Sherwood knotted the score 1-1 on what was essentially the final kick of regulation. The Panthers’ leading scorer made a long run before being closed down near the top of the 18-yard box. Sherwood’s shot was blocked by a Cimarron defender, but that created topspin on the ball, and it looped over Crews’ outstretched arms. The Spartans had the better chances in a scoreless first half before taking the lead in the 50th minute. Omar Garcia intercepted a clearance after a Cimarron corner kick and found Garrick Quackenbush, who managed to stay onside before ripping a shot past Palo Verde goalkeeper Nishesh Yadav. 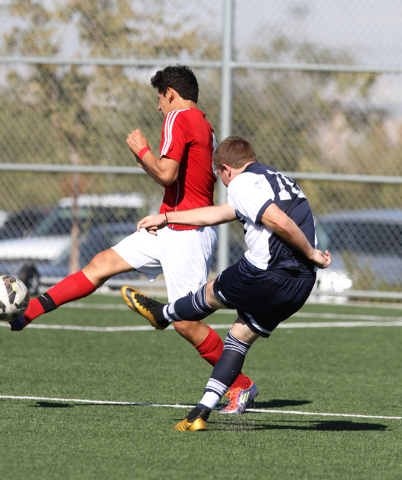 Jorge Molina netted two go-ahead goals, including the winner seven minutes into the second overtime, to give Sunrise Mountain a 2-1 victory over Chaparrall. Both teams advance to state, which begins Friday at Heritage Park. 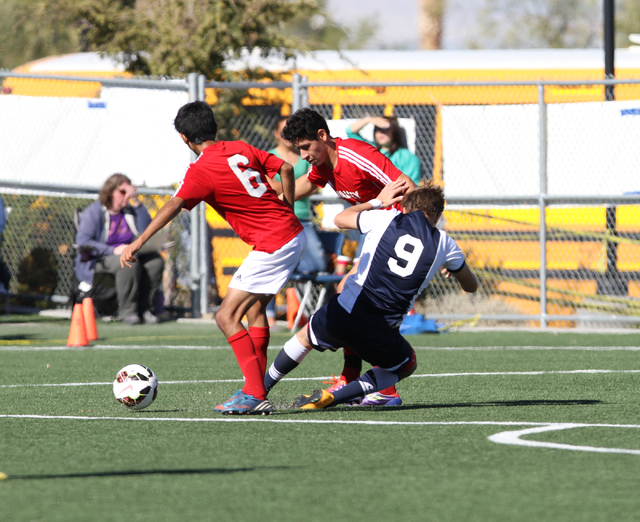 After the teams played a scoreless 15 minutes in the first overtime, Molina hit the golden goal in the second. Goalkeeper Carlos Cruz sent a 65-yard pass to a sprinting Molina, who outran two Chaparral defenders and sent the ball over the head of a challenging goalie. 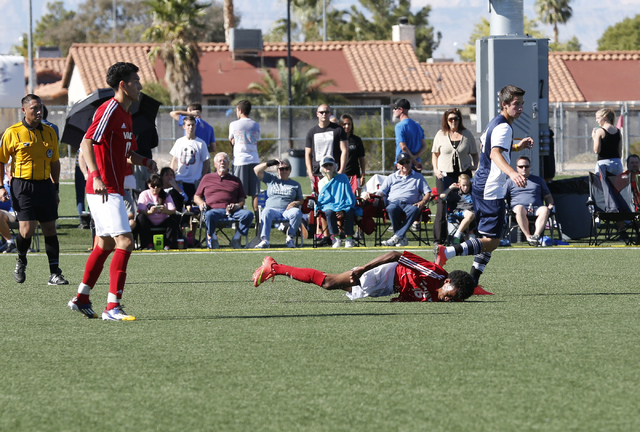 Molina also scored in the 58th minute, when he picked up a deflected corner kick and scored past the outstretched arms of Chaparral goalkeeper Gerardo Skewes for a 1-0 lead. The Cowboys needed just a minute to even the score. Alex Robledo took a ball from Aldo Skewes on a free kick and sent it to the lower left corner.